About | Thistle Design Co.
Hello there, I’m a web and graphic designer who specializes in building websites, crafting logos, brand identity, lettering, and print design. I have extensive experience creating a wide variety of websites from blogs, business websites, to e-commerce shops. I’m a design consultant for small business and creatives and am looking forward to working with you on your next project. 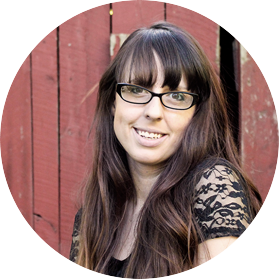 Jessie Wyatt, Owner of Thistle Design Co.
For over ten years I have worked with a wide variety of small businesses and creatives to help them launch their online presence and develop their branding. One of the most important items a modern business can have is a website that grabs the visitor’s attention and displays the crucial content in an appealing way. With a Bachelor’s degree in Graphic Design and years of experience as a design consultant, I have the skills and knowledge to create you a wonderful website and amazing branding. Please look at my portfolio for work on past projects and view my services for a better understanding of what I offer. I create lettering printables for home, nursey, and office on Etsy. Use coupon code: 25OFF to get 25% off of your order! Find me on social media for the latest designs and musings.